| Healthy Living Articles | Food and Meals | Fun Meal Planning With the Kids! Get your kids involved in meal planning and cooking for good nutrition! Theme nights can be fun for kids, but they are also a great way to meal plan with your child. 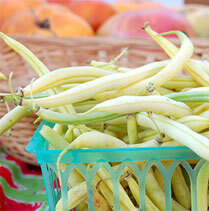 A theme can be based on a specific cuisine, season, holiday, character, ingredient, or any other idea you can imagine. Once you have a theme, base your weekly meal plan around the theme and have fun! Get some tasty theme ideas from the Super Crew. Children are drawn to bright colors. Lucky for us parents, bright colored fruits and vegetables are not only delicious but nutritious! 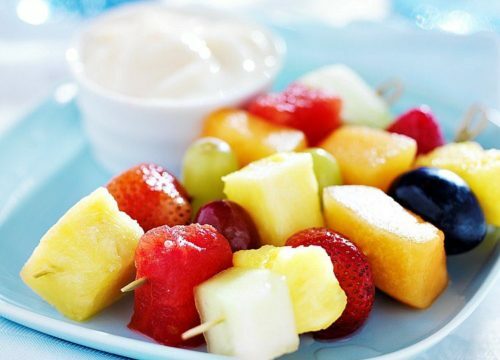 Challenge your child to think of meal ideas incorporating as many brightly colored fruits and vegetables as possible. 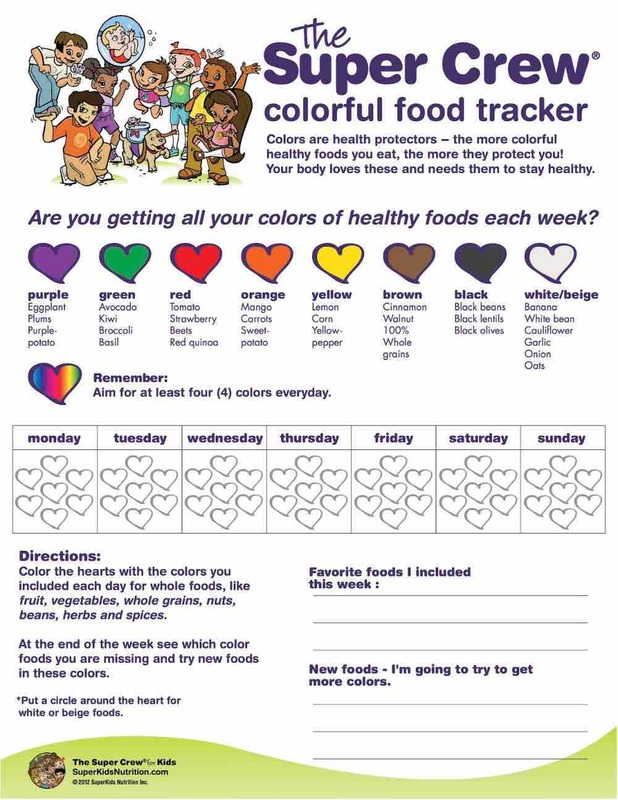 Use the printable Super Crew color tracker to help your kids aim for 4 colors a day. The meal may be pretty, but your child will be more likely to try the food if they are part of the planning process. Play a game using MyPlate! Have your child use MyPlate as a guide for planning snacks and meals. This will enable them to understand what should be on their plate every day. Additionally, MyPlate is a great tool to use in quizzing your children on their food group knowledge. Have your child help with recipe selection! Pull out cookbooks with colorful pictures. Find recipe websites online that have pictures with each recipe. Ask your child to pick a few recipes that look good based on the pictures. Kids are more likely to try something new if they see a picture that looks good to them. 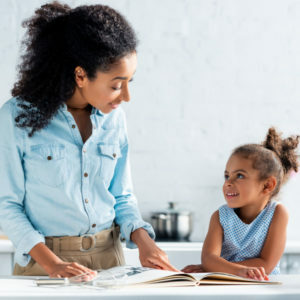 Also, by allowing your child to select recipes, they will gain a sense of empowerment from helping you plan a meal and begin to understand the meal planning process. Check these recipes to make with the kids. Select one new ingredient to use in a meal! 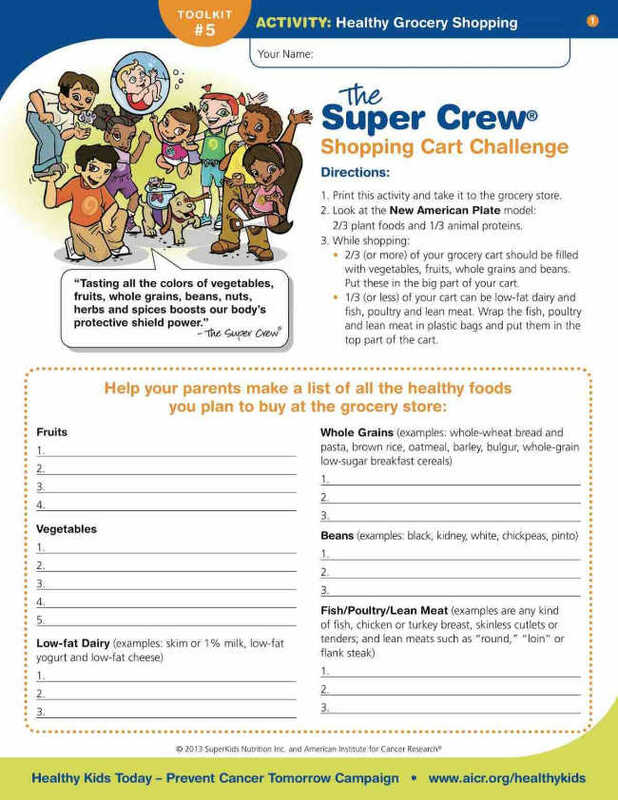 Encourage your child to make their selection from the produce department or the perimeter of the grocery store. This method is a way to avoid overly processed ingredients. Finding a new ingredient can be presented as a fun challenge for a child. This will expose them to new foods and vocabulary! Once the ingredient is selected, have your child help find recipes using that ingredient. After the meal has been eaten, discuss what your child liked and disliked about the meal so their comments can be taken into consideration for the next meal they plan! 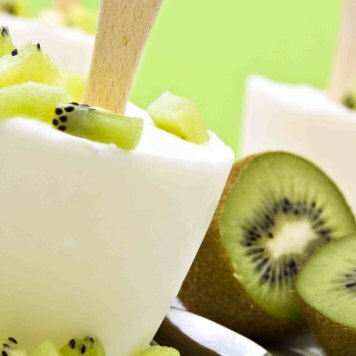 10 Yummy Breakfast Ideas Your Kids Will Love! Jennifer is dietetics student through Kansas State University. She is working toward a Bachelor of Science degree in dietetics with aspirations of becoming a registered dietitian. She works as a volunteer for the Kids Eat Right campaign and the Maryland Food Bank.